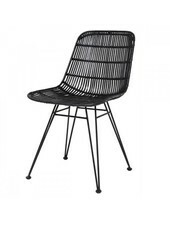 The design of the black rattan dining chair by Nordal is as simple as it is amazing, making it a perfect match in almost any interior style. 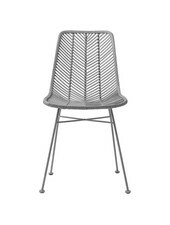 The gray rattan dining chairs are a beautiful eye-catcher in a home decor or restaurant. Pure and Simple. 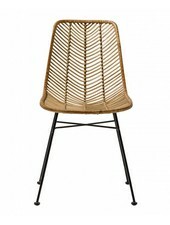 The design of this dark brown rattan dining chair by Nordal is as simple as it is amazing, making it a perfect match in almost any interior design. 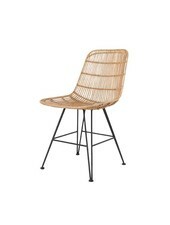 The brown rattan dining chairs by Nordal are handmade and frequently used by Interior desinger and interior stylists, mostly in comptemporain or scandinvian home decors. 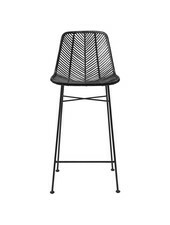 Not only does the black rattan dining chair look good around a dinner table, they are as well a beautiful eyecather in you livingroom or bedroom. The solid structure of the rattan chairs, makes them as well very suiteable for professional use in restaurants or office spaces.